The oil price crash could take thousands of good-paying jobs with it in America and around the world. Bad news already started to flow this week: Halliburton (HAL) affirmed that it plans to cut 1,000 positions due to the depressed oil market, and BP (BP) announced an unspecified number of layoffs as part of a $1 billion restructuring plan. More cuts are almost certainly on their way. On Monday, ConocoPhillips (COP) became the first major U.S. oil company to reveal that it is slashing spending for 2015, a decision the CEO asserted was "prudent given the current environment." It's true the job losses aren't widespread yet. Oil would have to fall a lot further for many energy companies to become unprofitable. And economists say cheap gas is akin to a $60 billion gas cut to consumers. But there are reasons to worry. The U.S. shale oil boom has become such a key driver of the economy in recent years, creating well-paying jobs at a time when other industries were scaling back. According to Fatima Iqbal of Azzad Asset Management, over 15% of total employment gains since the beginning of 2008 have come from the energy industry, even though it is less than 1% of the country's job base. "A prolonged slump in energy may endanger these jobs," she said. Fadel Gheit, an oil and gas analyst at Oppenheimer and Co., is far more pessimistic. He thinks a lot of energy companies are out of touch with reality. 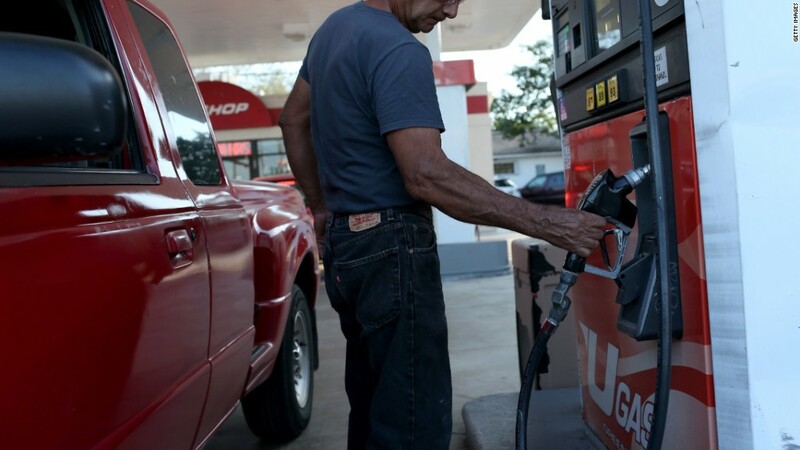 "Everybody is talking about $75 oil...maybe they're living on another planet," he said. Oil is currently trading around $58. His reasoning: Saudi Arabia, OPEC's biggest producer, is now basing its national budget on $60 oil. Kuwait, another heavy hitter in the cartel, is budgeting for $55. That means they're digging in for the long haul. While he predicts only a trickle of energy job losses in the next few months, he believes things will get far worse by the spring. "Companies don't want to over react. They want to wait until the dust settles, but the dust hasn't settled yet" he said. "Wishful thinking is not a strategy, it's delusion." Though many analysts are betting that smaller energy players with big debts will be the main victims of lower oil prices, Gheit maintains the the big guys should also be sweating. He claims that the rule of thumb is that for every $10 drop in oil, a company like Exxon Mobil (XOM) loses $4.5 billion in revenue per year. With oil down over 40% in recent months, the math isn't pretty. Should oil remain low, more capital spending cuts and mergers are inevitable, Gheit anticipates. Both would likely lead to layoffs. "I wish we had a formula to say when this hemorrhaging will come to an end," he said. "Plan for the worst and hope for the best."